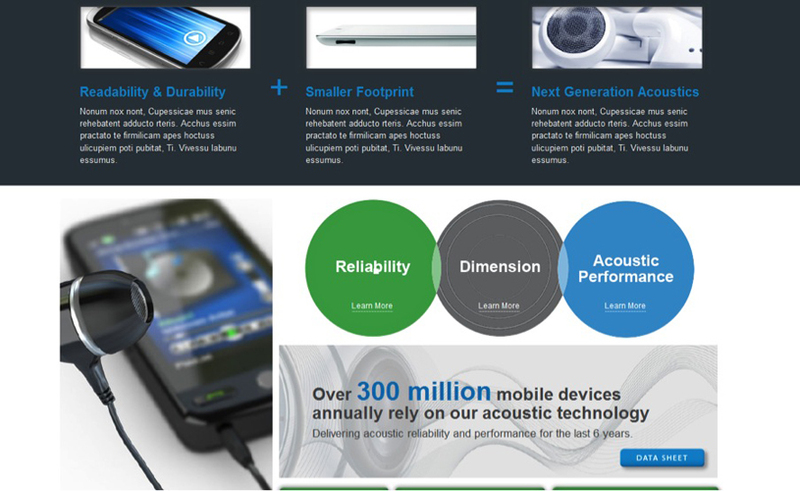 This B2B campaign was designed to target the electronics market and exploit the acoustics properties of APTIV film. Electronic components are getting smaller increasing the demand for higher performance materials that can handle the stressful operating conditions. 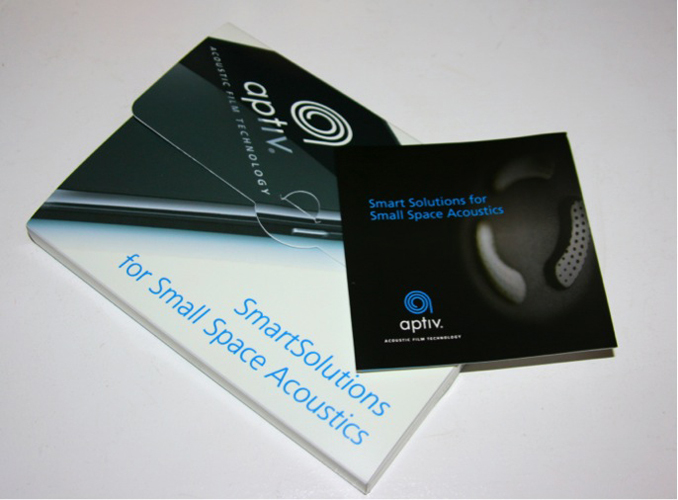 Because they are lightweight, thin and offer high performance along with superior acoustics capability APTIV films are uniquely well suited for the electronics industry and growing demand for improved sound quality in smaller components. A comprehensive package was developed to provide the sales team with the tools and information required to position APTIV films as the leading solution for speaker diaphragms in Smartphones and other devices. A sample kit containing an assortment of diaphragms sizes was developed along with a trifold brochure and presentations. 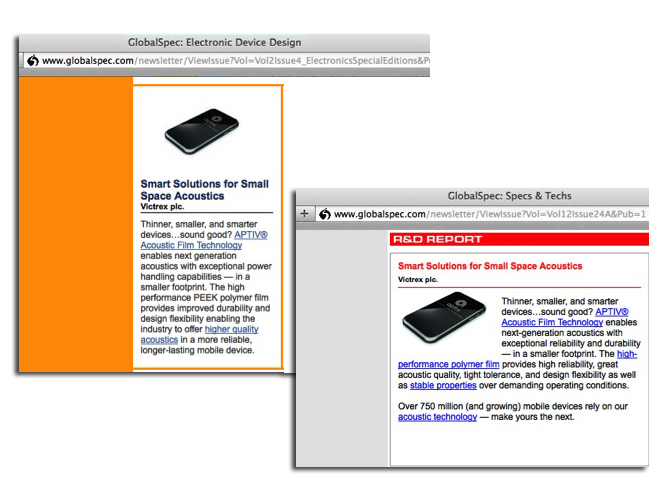 In parallel to drive leads a digital marketing campaign was created with tailored messaging targeting electronics engineers in need of a solution. Modeled after Apple's iPhone marketing the creative was designed to be visually captivating and sleek with simple messaging.